In today's end-of-year message, I share blog updates, ten-item wardrobe updates, announcements, book news and a very embarrassing story. How did our first semester of homeschooling go? Will I do a ten-item wardrobe video for winter? What's new for the Madame Chic books in Asia? All of these questions and more are answered in today's video. 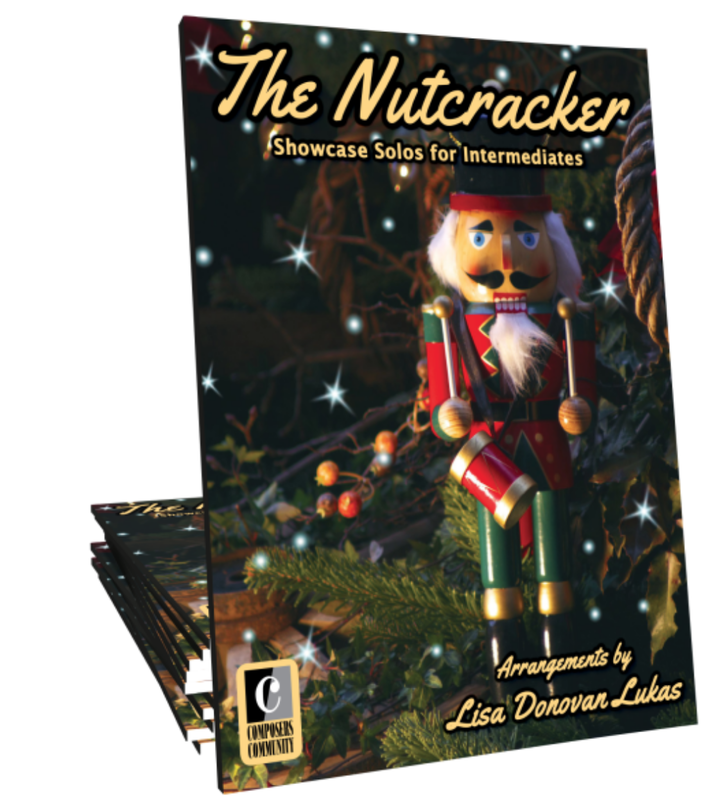 Thank you to Lisa Donovan Lukas for her beautiful Nutcracker arrangements. I took my daughters to see The Nutcracker last weekend and had the pleasure of sitting in the first row. They were thrilled to see the dancers so up close and even get a peek of some of the back stage action. Lisa's beautiful arrangements bring one of my favorite ballets to my home piano. Thank you, Lisa! Be sure to check out Melissa55's channel on December 22nd because I will be featured in her musical compilation video playing, O Little Town of Bethlehem, on the piano. Thank you, Melissa! *Updated* You can watch the video here. If you are missing The Daily Connoisseur videos while I am on my winter break, enroll in the eCourse on the ten-item wardrobe. With over an hour of never-before-seen video instruction, notes and quizzes, you will feel prepared to create your own ten-item wardrobe. For those of you who already do the ten-item wardrobe, this course will keep you on track and provide further inspiration. 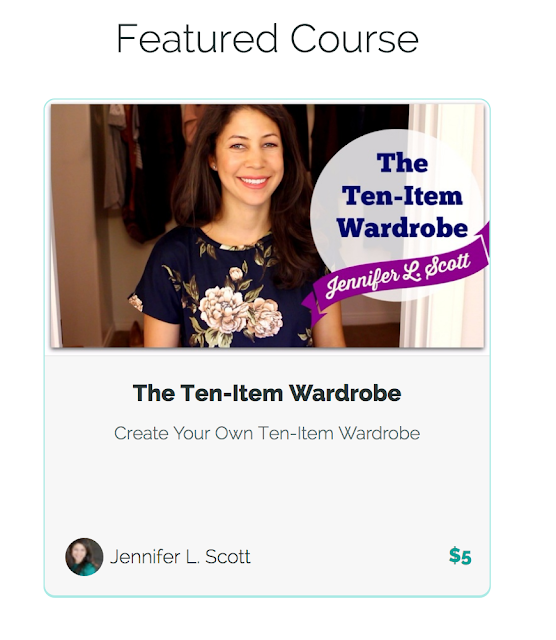 The course is self-paced and includes a lively comment section with other ten-item wardrobe enthusiasts. Enjoy! ...and Polish Your Poise with Madame Chic in good company. Regarding Tuesday's Bloopers video, An Old Fashioned Country Life writes, "I love the deciphering look as you hear the background noise!! "Do I need to tend to that? What level are we at?" look!! Mrs. O, that was my exact thought process during that moment. Ha! I will be going on my annual winter break from the blog and will see you in a few weeks. I am wishing you a merry Christmas and a happy new year. I am excited to usher in 2018 and want to thank you for all of your support this year. You are a wonderful part of my life and I am grateful for you. See you in 2018! I have another collection of bloopers to deliver before the year ends. Strange noises, tantrums in the background, losing my train of thought, being photobombed and losing my balance: it's all part of daily life here on The Daily Connoisseur! The video I was shooting in Portugal on the rooftop never got completed because I was interrupted so many times (and not just by the baby!). And the final shot in our kitchen garden... that video has not come out yet. I'm working on a long-term kitchen garden update, which I think will be more interesting for you to see. I hope you enjoy today's bonus video! See you back on Thursday for my end-of-year chat. Merry Christmas! 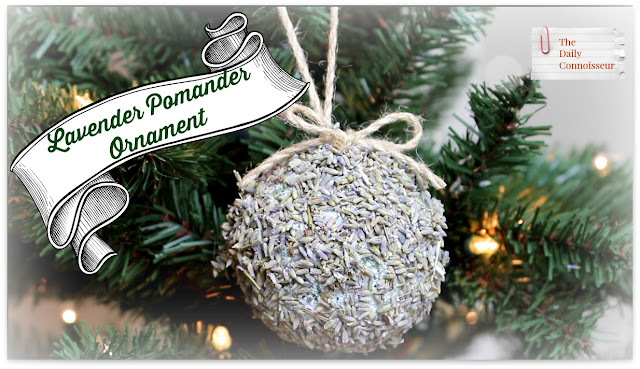 Today I'm making homemade lavender pomander ornaments fashioned in a traditional Victorian style. The Victorians loved to use natural scents with their holiday decorations and these ornaments are a fragrant delight. Lavender flowers, twine (or any ribbon that you like), green dry foam balls, quilter's t pin, modge podge, glue gun. This is a really fun craft to do with your children. I made the one in the video and the girls did the rest. The children's ornaments had some 'bald' spots where the lavender did not stick, but that is OK. When you use a green ball, it looks natural, as though moss is peeking out underneath the ornament. I often forget I've made these ornaments and when I walk near our tree I am pleasantly surprised with their amazing lavender scent. I hope you enjoy today's video. I hope you enjoy today's Christmas ornament tutorial... See you next time! 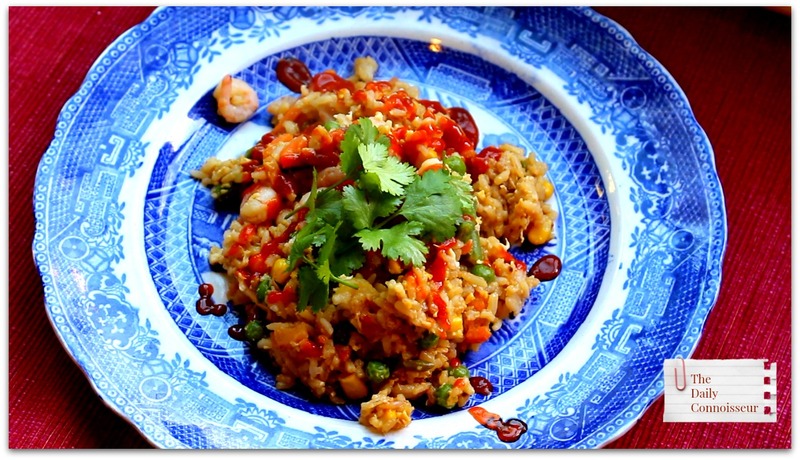 Today I'm making a fragrant variation of one of my favorite fast dinners, fried rice. I'm adding garlic and shrimp to make this decadent dish. Whenever I cook rice, I always make a double batch so I can make fried rice the next day. This works best with day-old rice. Use the proportions that work for you. If you like to add more vegetables, do so. If you want to use less soy sauce, that works too. This dish is very customizable. I hope you enjoy today's bonus video. sriracha sauce, cilantro, green onions and avocado to garnish. Heat sesame oil in a wok or frying pan on medium high heat. Add garlic, cook for one minute. Add rice and cook for a few minutes until the sesame and garlic are fragrant. Add your mixed vegetables and soy sauce to taste (I like to use about 3 Tbs) cook for 2 minutes. Mix in two eggs that you have beaten together with a fork. Lastly add the cooked shrimp. Cook for 2 more minutes. Please note, that over cooking the shrimp will make them rubbery. Remove from heat, being sure to scrape the pan to include the crispy parts when you serve. Garnish with sriracha sauce, cilantro, green onions and avocado. 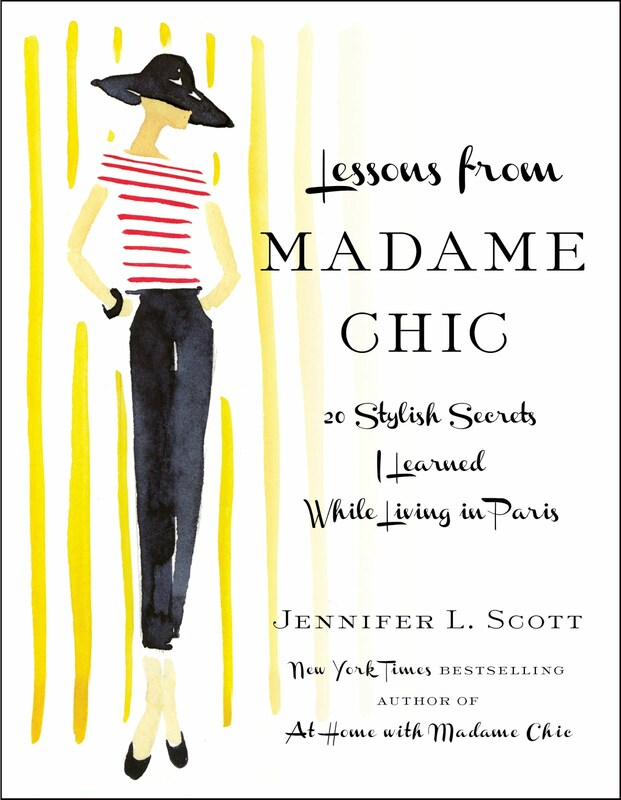 Check out this wonderful feature on the Madame Chic books in WomanScape's article, Jennifer L. Scott's Timely Holiday Gift: Madame Chic. 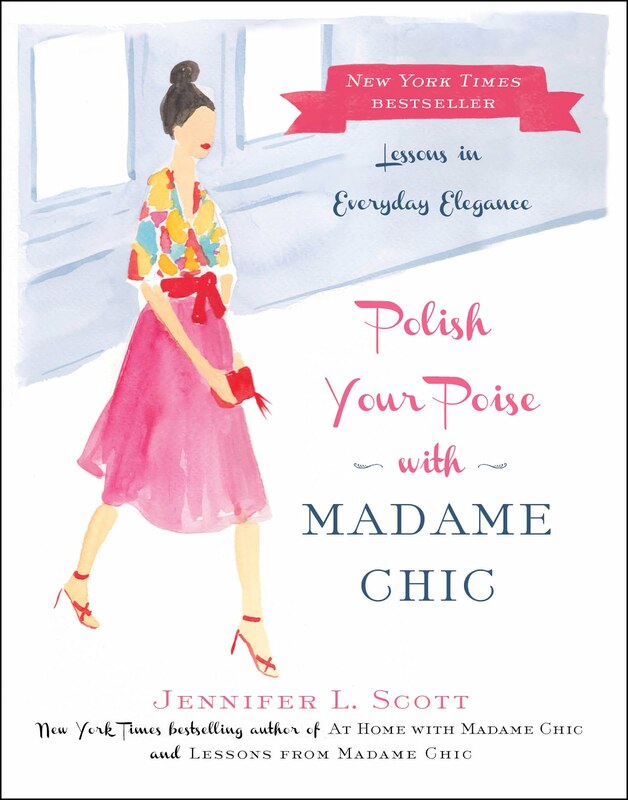 Paper and Peony shared her favorite books and Polish Your Poise with Madame Chic is one of them! Thank you for joining me for this bonus video. Today I would love to know how you make fried rice. I hope you have a wonderful weekend. See you on Monday for the lavender pomander craft! 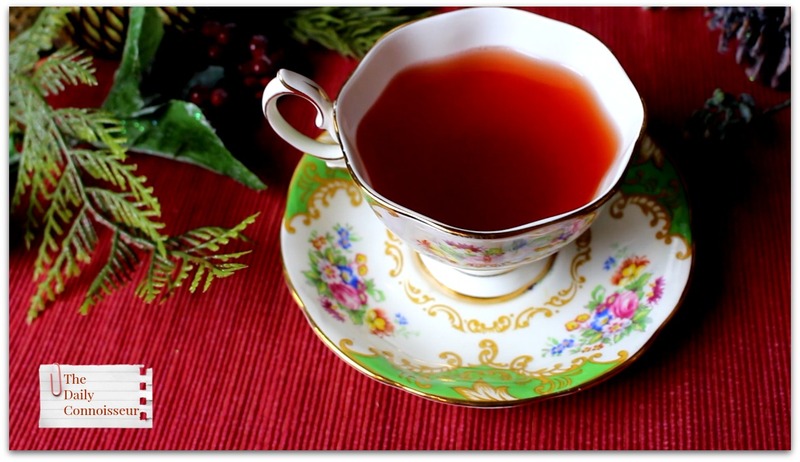 Angi, from A Return to Simplicity, and I have collaborated to bring you a recipe for our favorite holiday teas. She has given me her mulled cranberry tea recipe and I've given her my vanilla chai tea recipe. Be sure to check out Angi making my tea in her video. The following is Angi's recipe. Please note: I brewed the tea bags in the slow cooker the entire cooking time, wheras Angi's recipe suggests you take the teabags out before starting the slow cooker. My recipe turned out great so either method is fine. Place tea bags in crockpot. Pour boiling water over tea bags, cover and let steep 5 minutes. Remove and discard tea bags. Stir in cranberry juice, honey, lemon slices, cinnamon sticks, and cloves. Cover, cook on LOW 2-3 hours or on HIGH 1-2 hours. This tea was so delicious and easy to make. I had unexpected company the day I made this and it was so nice to offer them such a special drink. This would be excellent for any holiday gathering. Thank you, Angi, for the recipe! Don't forget to check out her channel where she is making my vanilla chai tea. Evelyn P. writes, "Jennifer, I LOVE your cooking videos, especially the freezer meals. I have tried several of your recipes and they have turned out great:) It is so nice to have a meal all set to go in the freezer and then the crock pot. Keep these coming, please.﻿"
Thank you, Evelyn! I really love doing cooking videos. In fact, we have a bonus video coming tomorrow for garlic shrimp fried rice. Thank you and see you tomorrow! I hope you enjoyed the floral wreath tutorial from last week. 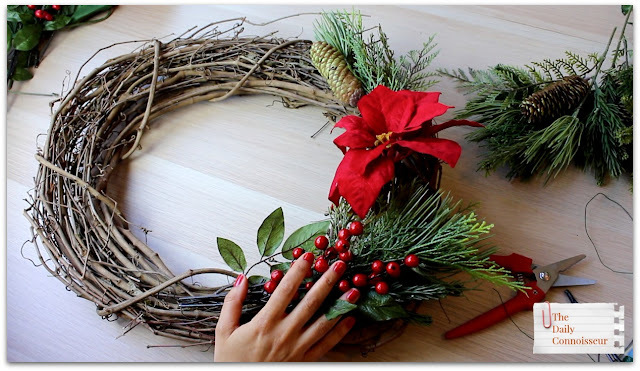 I'm back with another pretty wreath tutorial... This time we are mixing a simple combination of ribbon and berries. I am recycling one of my favorite Christmas ribbons from last year. Feel free to use whatever materials you have on hand. I have also linked a list of materials below. 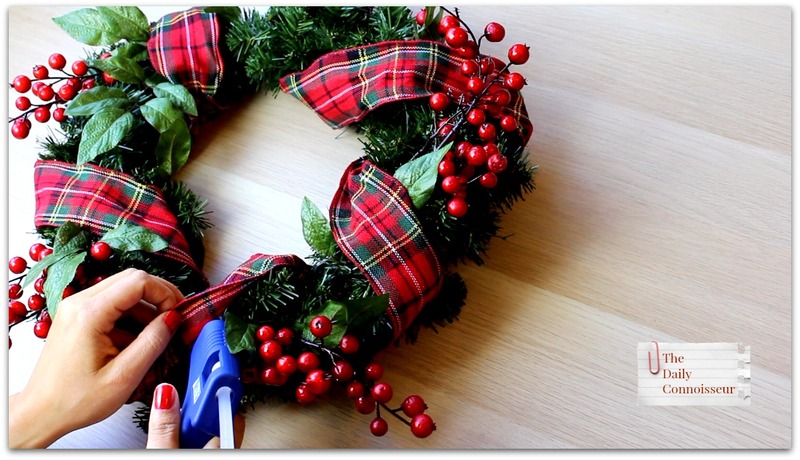 You will need floral wire, wire cutter scissors, hot glue gun, plaid Christmas ribbon, green wreath, faux berry sprigs, metal wreath hanger. 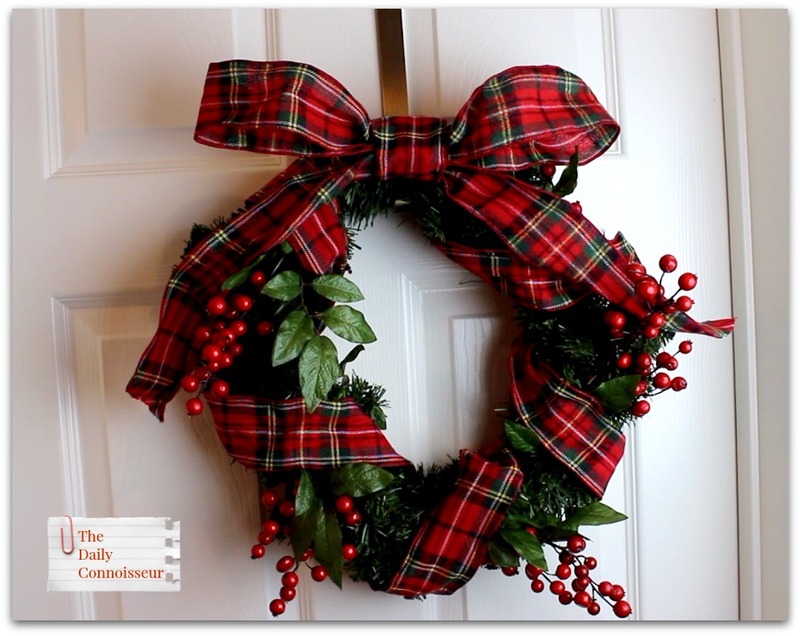 To see all of the easy steps to make this wreath, be sure to watch my video. Congratulations to Sarah French for winning the Zoe Lariat necklace from Stella and Dot! 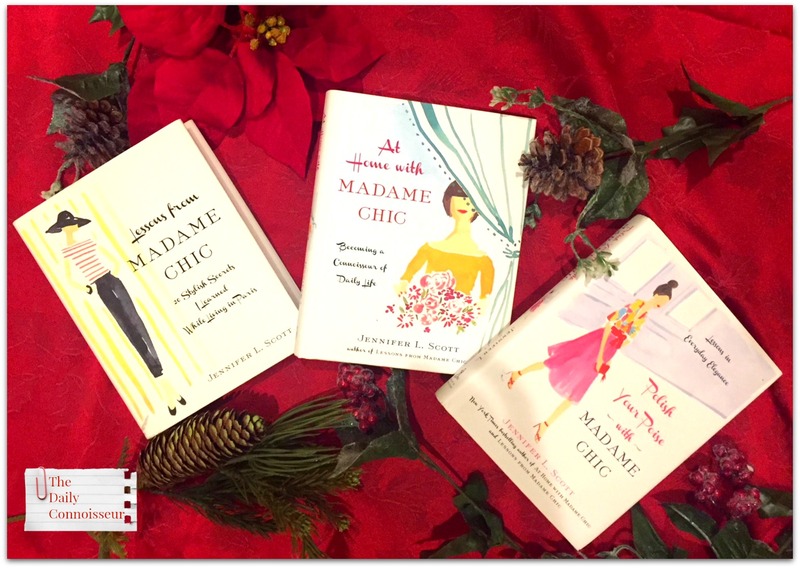 ...also Magnifique Brunette reviews the Madame Chic books on her blog. 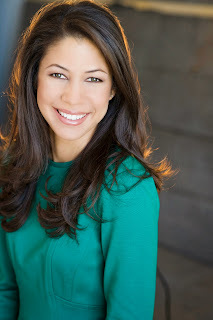 Mariana writes, "Hi Jennifer, for 2018 I plan to set myself the resolution "Embrace Domesticity." I am a working mom, and my house is usually dirty, though uncluttered. Can you do a video on your cleaning schedule? Do you clean in small increments, like 15 minutes/day or all day on the weekend? If you do a little every day, can you show us what that looks like: Monday: bathrooms, Tuesday: Kitchen, etc... Thanks! Mariana"
Hi Mariana, thank you for the video requests. I do plan to discuss my changing cleaning routine in the new year. Stay tuned! See you on Thursday for a special holiday tea recipe and on Friday for a bonus video. I've partnered with my favorite online luxury boutique, Halsbrook.com, again to bring you my curated picks from their accessory gift guide for Holiday 2017. In the past, I've collaged my favorite seasonal Halsbrook looks like 7 Ways to Style a Neutral Dress, 6 Gorgeous Fall Looks and 6 Chic Summer Looks. Today I'm sharing my favorite combinations from their gift guide, as well as three chic holiday party looks at the end of the post. 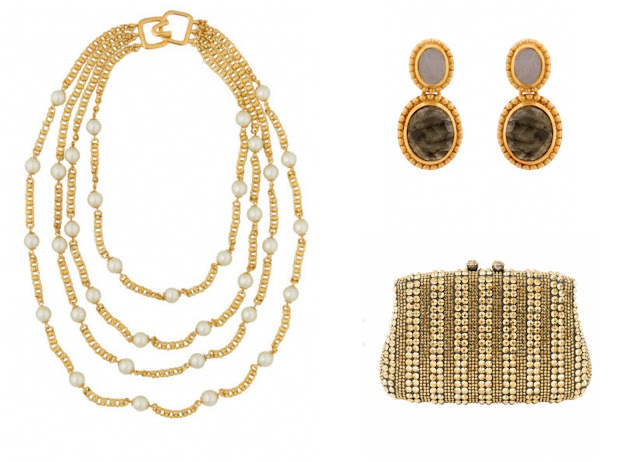 Classical elegance The rich, warm gold tones from these accessories would bring a classical and opulent look to any neutral dress. Serpui Aurora Black and Gold Clutch, Julie Vos Sienna Pearl and Labradorite earrings, Kenneth Jay Lane Pearl and Gold multi-strand necklace. Late Fall Classics The burgundy, chocolate and gold in these luxury accessories compliment each other beautifully and make for a wonderful transition from fall to winter. 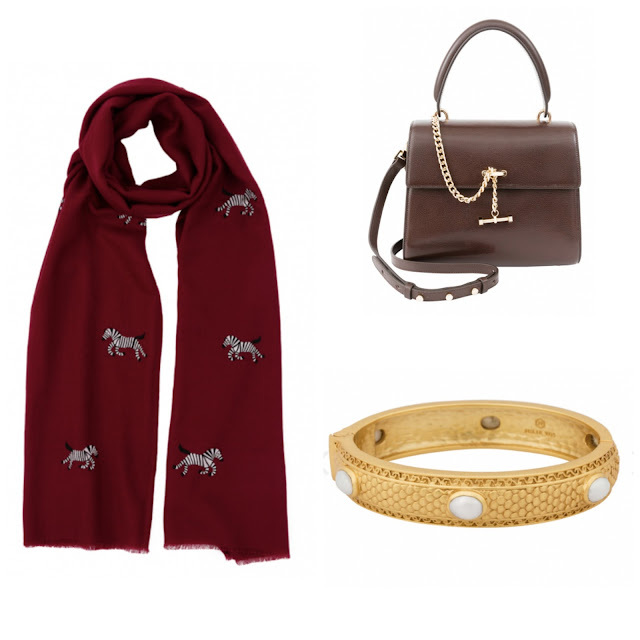 Janavi embroidered zebra shawl, Luana Italy Paley Mini Chocolate Cherry Satchel, Julie Vos Medici 6-stone pearl bracelet. 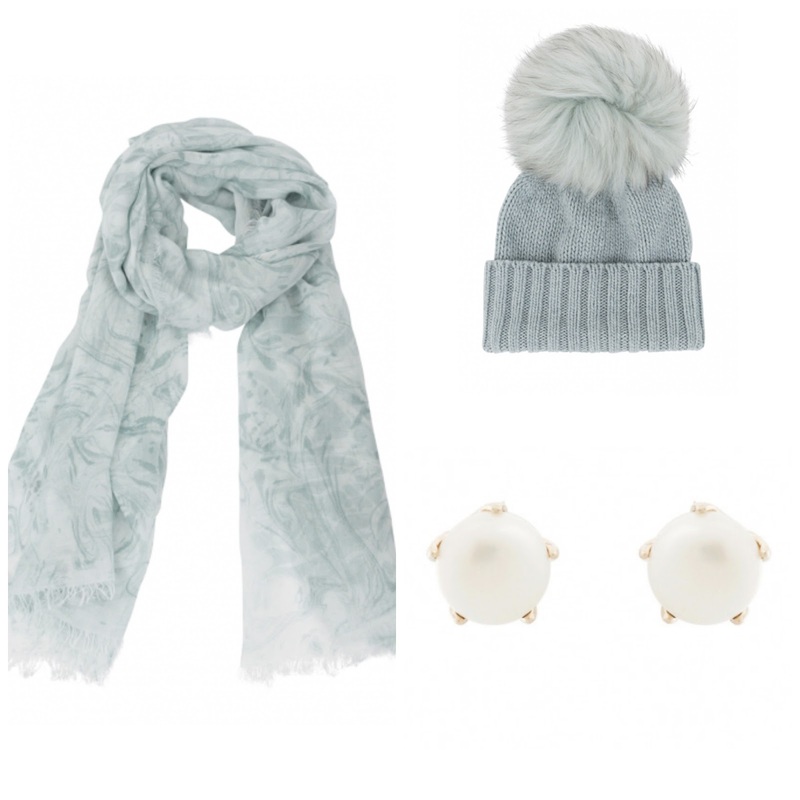 Winter luxury These icy hues bring a cozy, yet glamorous touch to winter wear. Amanda Bond Lucille Pacific Green Marble Modal scarf, Inverni blue cashmere pom pom beanie, Lulu Frost lustre white pearl earrings. 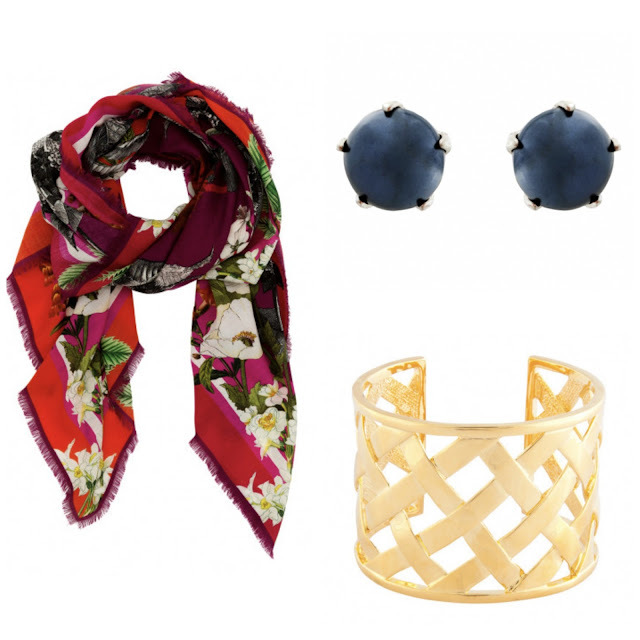 Bright and beautiful This showstopper scarf paired with classic accessories can brighten up any dark winter's day. St. Piece Geraldine Floral Print wool and cashmere scarf, Lulu Frost lustre grey pearl earrings, Kenneth Jay Lane basket weave cuff. Halsbrook is having The Great Gift Event, where you can take 20% off their entire gift guide. This 20% off is offered for 5 days only, December 7th through December 11th. Happy holiday shopping! Opulent Textures The combination of velvet and faux croc make this rich winter party look shine with subtlety. LK Bennett Che Midnight Blue Velvet embellished dress, W. Kleinberg black embossed crocodile clutch, Jennifer Behr Made Flower Stud earrings. Winter Blush Holiday colors don't necessarily need to be dark. This pretty pink look is feminine and cozy at the same time. Sail to Sable pale pink wool cashmere sweater, Eliott Lauren Chino control stretch ankle pant, Bagatelle Celeste Champagne Crystal Beaded Necklace. Chic and Tweed A classic and sophisticated pairing that is an elegant look for any holiday party. Paul Ka black knit dress with black and white tweed bodice, Paul Ka black and white tweed cardigan, Kenneth Jay Lane gold chain and pearl earrings. Thank you to Halsbrook.com for sponsoring another post on The Daily Connoisseur. I really enjoy creating these gorgeous looks from their beautifully curated collection of clothing and accessories. I hope these pairings inspire you to when getting dressed this holiday season. Today, I would love to know... which accessory combination is your favorite? Which holiday look do you love? 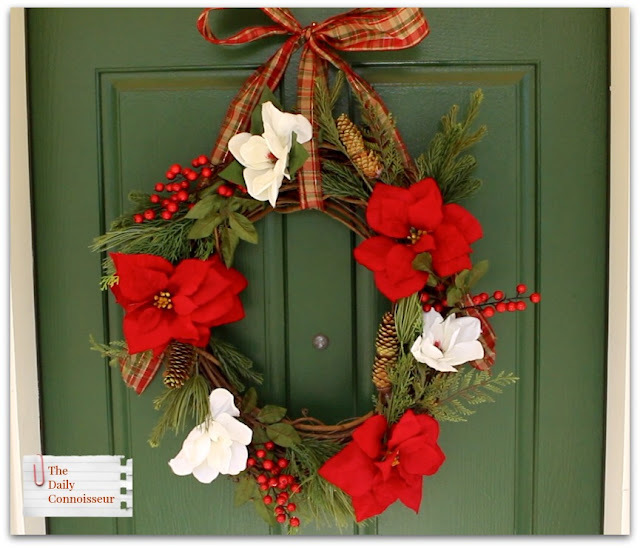 Join me today as I decorate a floral Christmas wreath. I love doing crafts this time of year and wreath making has always been a hobby I have enjoyed. I've been making wreaths since I was a little girl. My parents still display the ones I have made in their home so they definitely have lasting power! I hope you enjoy watching the tutorial in today's video. I purchased everything from a local craft store, but for your convenience I have listed all of the supplies below to the best of my ability. If you don't plan to make a wreath this holiday season, a good idea would be to wait until the after Christmas sales to get your faux florals at a heavy discount. I reuse a lot of my crafts supplies every year, making this process very affordable for me. 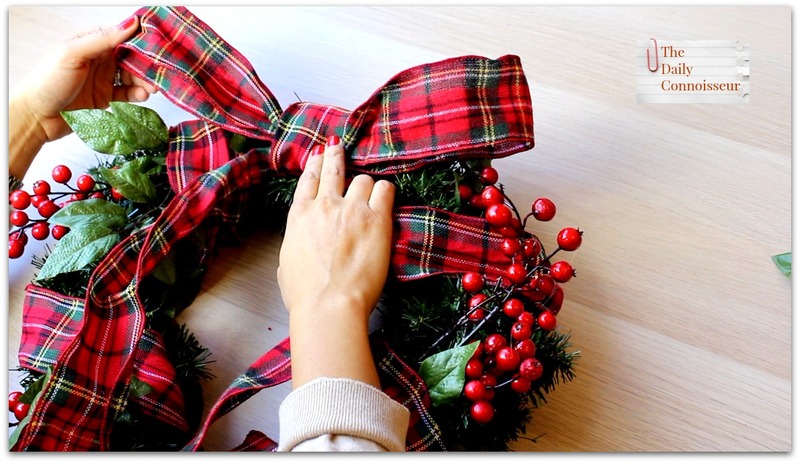 You will need floral wire, wire cutting scissors, hot glue gun, poinsettia flowers, magnolia flowers, plaid Christmas ribbon, grapevine wreath, faux berry sprigs, pine cone sprigs, frosted pine cone (an alternative option). Check out my interview with Author Bytes Cafe host Jordan Rich. 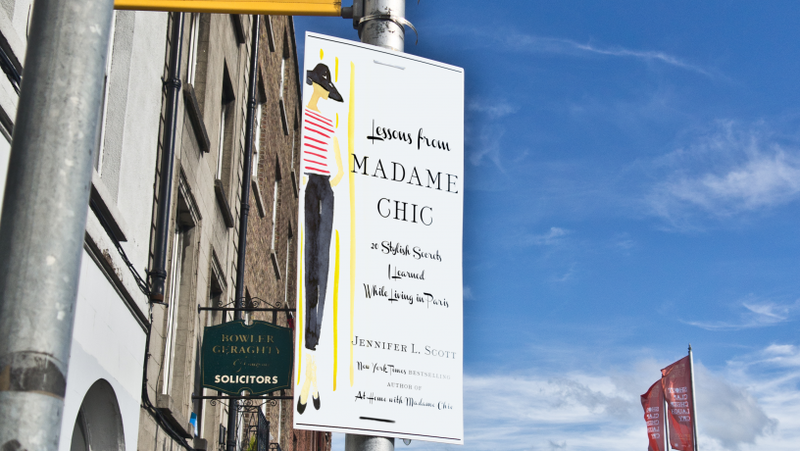 A really fun interview discussing all things Madame Chic. Thank you to Author Bytes for hosting me! 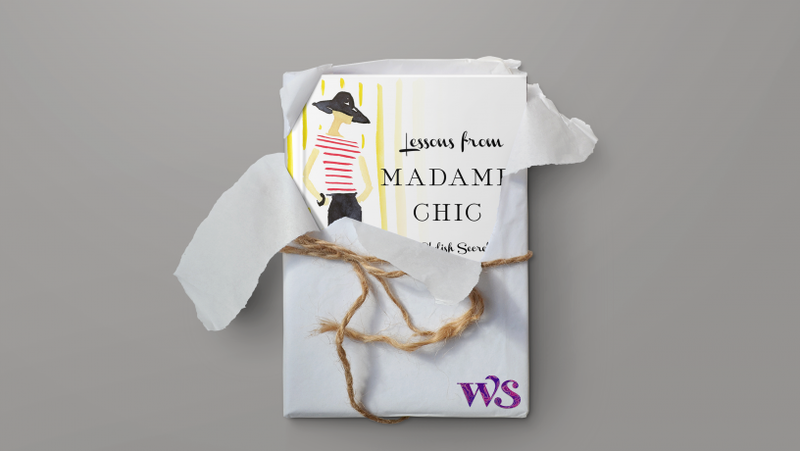 Midori_Bujo's notes on Lessons from Madame Chic. 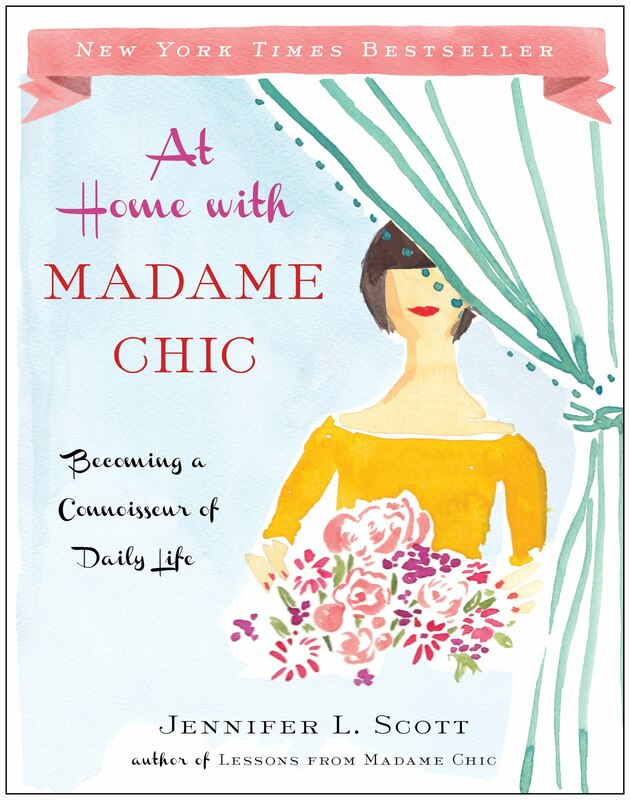 Her French husband was surprised how well the Madame Chic books truly capture French living. I received such great advice regarding onion chopping from Monday's freezer meals video. Many people suggested refrigerating the onions, some suggested dunking them in water, others suggest special onion goggles. The most voted up comment came from Janna G, who wrote: To not cry when cutting onions, put the onion in the freezer for half an hour, works great. Thank you, Janna! I will try this technique out and report back! I hope you enjoyed today's tutorial. Let me know if you like to make wreaths and what your method is. Your comment could be chosen as comment of the week on the blog. 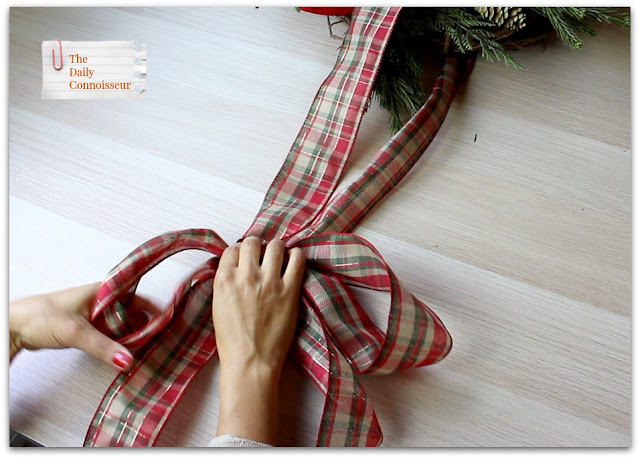 Be sure to check back on the blog tomorrow for a special holiday styling guide from Halsbrook. See you then! Join me as I assemble freezer meals for my family today. 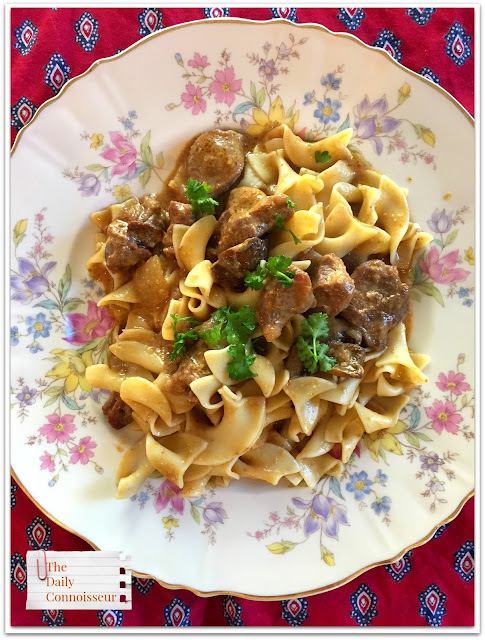 I purchased beef stew meat and ground turkey at the grocery store and was able to assemble 8 freezer meals with what I made in this short cooking session. You will notice that many of these recipes include the same, or similar ingredients. This is intentional. When doing a large cooking session like this, I choose recipes based on similar ingredients for efficiency purposes. Mix all ingredients together in a large bowl. Ladle the mixture into gallon freezer bags. Label and freeze. To cook in the slow cooker, take out one freezer bag the night before and let it thaw in the refrigerator. Cook on low 8 hours or high 3 to 4 hours. To cook in the Instant Pot, you don't even need to thaw it, simply put the frozen food in the pot and pressure cook it on high for 20 minutes. I have tried both ways and this meal is delicious! Serve over egg noodles or rice and garnish with parsley. *Please note: if you do not want to use beef, substitute mushrooms for the meat. 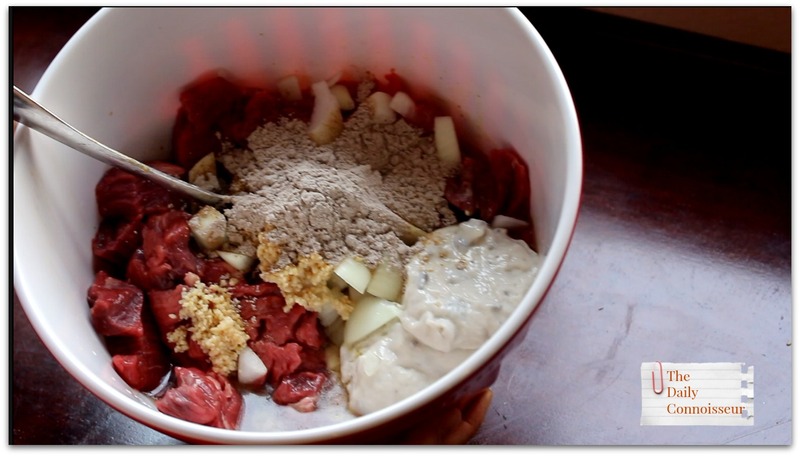 Mix all ingredients in a large bowl. Divide between gallon freezer bags. This should make about two meals. Freeze. To cook, thaw overnight in the refrigerator. Cook in the slow cooker on low for 8 hours or high for 3 to 4 hours. You can thicken the sauce with 1 Tbs cornstarch and 1 Tbs water mixed together, then mixed in the beef dish about 1/2 hour before the cooking is finished if using the slow cooker. If you are using the Instant Pot, you can cook from frozen 20 minutes on pressure cook. This dish is great served with rice, steamed green beans, dinner rolls and a fresh salad. My husband loves this meal! For the next two meals, I have cooked 2 1/2 - 3lbs ground turkey with chopped onion, garlic and garlic salt. Please note: use as many vegetables as you like. If you are using less meat, use more mushrooms or other vegetables to bulk up the meal. Freeze for up to three months. When ready to cook, thaw overnight in the fridge. Cook in slow cooker on low for 8 hours or high for three to four hours. For the Instant Pot, cook direct from frozen for 20 minutes on pressure cook. (I cooked this in the Instant Pot last week and it was delicious!) Serve over noodles. 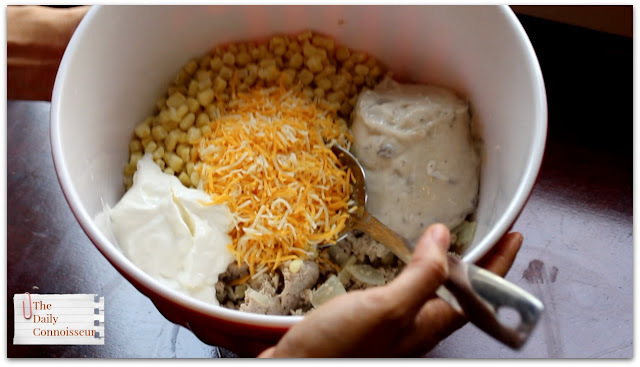 Mix the turkey, corn, mushroom soup, sour cream, milk, 1/2 cup cheddar cheese, garlic salt and onion together in a bowl. Pour into an aluminum baking pan. Layer tater tots on top. Cover with aluminum foil and label your dish. Freeze for up to three months. Cook from frozen in an oven preheated to 350 degrees for around 1 1/2 hours. Times may vary depending on your oven. Right before taking the casserole out, sprinkle shredded cheese on top to melt. Children love this dish! It's a crowd pleaser. Oh, Thank You, Jennifer for the great printables! Another great video! At the risk of sounding melodramatic, you have literally changed my life since I started following you on youtube and your blog. I just finished reading all 3 of your books....should be required reading for every woman who wants to elevate every part of her life. You have renewed my love of classical music...you have challenged me to practice poise, even in the mundane parts of my day...you have inspired me to look presentable always, even when I do not feel like it...you have encouraged me to embrace art and culture in new ways (I took a painting class with my grown daughters & LOVED it! My husband & I are going to the ballet to see the Nutcracker next week! I have started buying myself fresh flowers every 2 weeks & arranging them myself!) Won't bore you with more, but you get the picture. Thanks for all you do, my dear! Cindie, I absolutely loved your testimonial. Everything you wrote is why I continue to do what I do. Thank you for being such a great supporter of my work! Have fun at the Nutcracker! I hope today's video inspires you to do freezer cooking for your family. 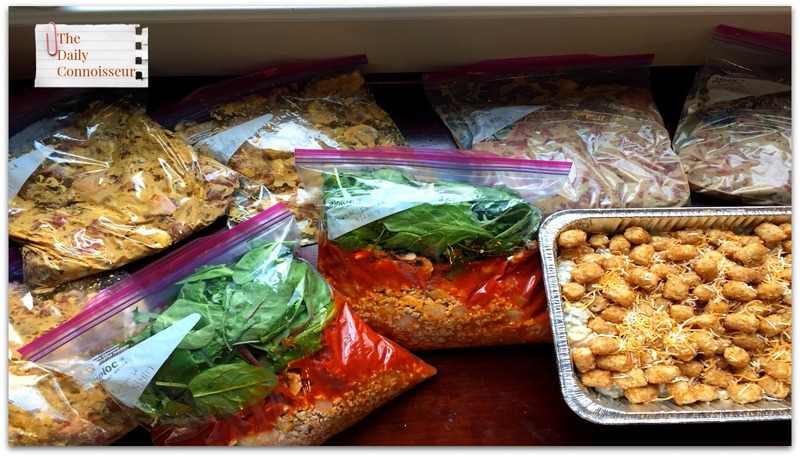 It's an integral part of meal planning for us and I am always grateful to have a homemade meal on hand for the days when I do not feel like cooking from scratch. Please let me know what your favorite meals are to freeze. Also, please let me know if you have any cooking requests for future videos. See you on Thursday!